All rivers run to the sea they said in primary school, citing Ecclesiastes for evidence; and the Camel is no Biblical or geographical exception. By the time it reaches Polzeath the water carries silt and debris from upstream, down from where it rose on the moor and rushed through the valley. 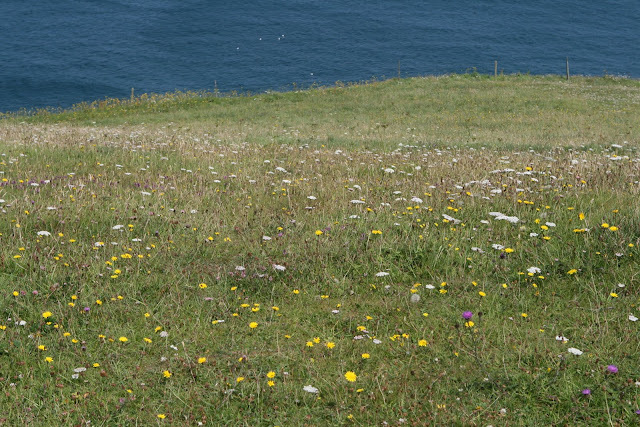 Calmed by estuarine widening near its end, it merges almost imperceptibly with the never-still ocean between Pentire and Stepper point. Beasts are said to roam on Bodmin moor, but it is more notable for hiding the source of the Camel. Concealed in the boggy flatlands high up, the river rises at OS SX1358876 on Hendraburnick Down in a common watershed. 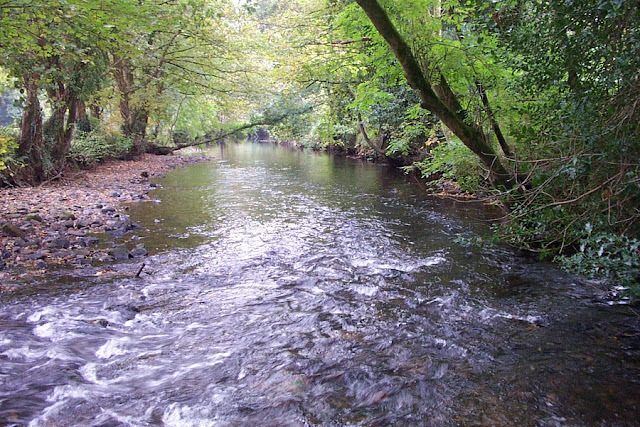 Descending, the water divides into the Ottery going north, the Fowey heading southeast, the Valency to the southwest, whilst the Camel leaves due south. Eventually our river will become recognisable pouring over rocky beds, but up here it slops about wetly in marshy areas gathering its strength. Coming down from where it rises, the river gathers water over the next 40km of its course from its tributaries, Stannon, de Lank, Clerkenwater, Ruthern and Allen until it passes Wadebridge and runs into the Camel estuary. Draining from the granite moor, the surrounding sandstones, slates and shales pour off water into the main body and ancillary waterways. 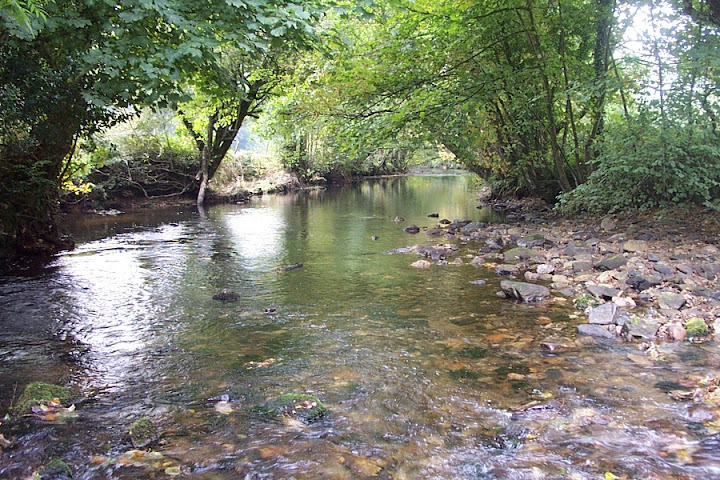 Evidence of the rural catchment is seen most years as the river rises and falls dramatically with the weather and seasons, modified very little by reservoir or extraction. Due to tricksy tides and land formations, the sand bank in the Camel Estuary opposite Padstow has a bad reputation for claiming ships and their crews. Eventually at some point in the last century it underwent a name change from Dunbar, supposedly a derivation of dune bar, to Doom Bar, to accord with its gloomy status as treacherous deathtrap. Folklore has it that a mermaid is at fault for all the lives lost, and its reputation has probably been worsened by false association with Tennyson’s morbid work Crossing the Bar; this references a completely different sand bar acting as a barrier between this life and the next. Good things also come of the Doom Bar now it’s been dredged into submissio, it’s also the name of a beer from Sharps brewed in Rock , available in all good pubs in Cornwall and beyond. English rivers hadn’t seen much of the Little Egret for two centuries until it recolonised the south coast from northern France in the late eighties. For the time being it’s still Amber listed by the RSPB as a rare breeding species, but is increasing in number and can be seen on the mudflats of the Camel. Gadding about in shallow water, you should be able to spot it by its bright white feathers, plumed crest and souwester yellow feet, prominent at the end of wellyboot legs. Fur and feather bound to steel aren’t necessary to catch a fish, there are times and places when a bare hook and skilful casting can be enough. Getting that good though is generally more tricky than acquiring a copy of The Compleat Angler or JR Hartley, practice and patience are required. However, even if you don’t catch much there is a lot of fun to be had from trying. In fishermen’s dreams this is the chase they relive, still thrilling although slowed to an underwater pace with complex interplays of wind and current. Just as important as the fish themselves is the delight of being outdoors in some of the most beautiful places Britain has to offer; on The Camel where coastal skies, meadow and river meet in early morning light you can have the time of your life just casting and fishing. Get on your bike in Wadebridge, turn left over the small bridge by The Regal cinema, and keeping the river on your left you will soon find yourself on the official Camel Trail. Half a century ago the trail was still a passenger line used by the trains of the Bodmin and Wadebridge Railway, but this stopped in 1967; and it was not long until the freight business also had to close as the local china clay industry on which it depended died out. In this century the old line is now one of the most popular cycling trails in the country, probably because it passes through varied and beautiful scenery, but helped out by the fact it’s almost entirely flat. Just about 3 miles out of Wadebridge a large concrete platform at shoulder level and a bridge over the river are what remains of Grogley Halt station. Hazardous and rocky, the Cornish coast gives those making their living from the sea plenty of reasons to think of the Lifeboat as their 1st Emergency Service. In 1827 the RNLI established a boat at Hawker’s Cove and it was based there until the sixties when it was moved to Padstow, but the slipway and a row of coastguard cottages remain above a lovely beach. Islands have interesting biology thanks to their relative isolation from other land masses, and though the British flora is a little impoverished after the last ice age it contains some real gems. Just as in exotic islands though, our local ecology is threatened when non-native species invade and run rampant in the absence of disease, pests, or invertebrates adapted to using them as food. Keeping the foreigners out might sound like prejudice, but is based on experience of the choking effect species such as Himalayan Balsam exert, pushing out our more self-effacing natives. Like other good riparian keepers the fishing clubs of The Camel are aware of this threat and try to address it, though attempting to eradicate these invaders must feel like starting the undercoat on the Forth Bridge, a Whac-a-mole or a modern labour of Hercules. Just another example of why invaders aren’t welcome, Japanese Knotweed is the most aggressive of weeds, scrambling and strangling its way through the British countryside. Kill any you see – it might sound harsh, but pity the native plants, invertebrates and riverbank mammals that it pushes out. Kissing the river as they skim low to catch fry, The Camel is a great place to sit down for a while to try and spot a kingfisher. Light bounces off their blue and orange feathers as they zoom along, leaving more an impression of a beautiful bird than a clear recollection of their distinctive long beak and large head. Mornings and quieter times give you the best chance of seeing them, as they are easily disturbed. Like all estuarine rivers the smallish Camel is subject to big forces from the pull of the moon and the sun and the rotation of the earth, which are manifest as tides at its seamouth. Marvellous and arcane language can be invoked to help describe and understand tides – apogee, perigee, zenith, nadir, bathymetry and obliquity all come into play. None of this seems to matter as much as to know that a spring is bigger than a neap, and the result is that there is a rich intertidal zone where the birds and beasts benefit from the good things washed down to them from fresh to brackish water. Over years this has built up into a beautiful area of mudflats around Wadebridge, good for a wander and for spotting birds. Making their homes anywhere there is water and a quietish spot for nesting, swans are said to belong to the Queen. Not that I think she has much need of a big, tough bird like a swan to impress her diners these days. Often seen flying over and swimming on the Camel they have become a common and beautiful sight, with sigmoid neck, arcing wings and a big orange beak. No longer a Halt on the LSWR line, Nanstallon village is reached by leaving the Camel Trail west of Boscarne Junction. Over the river and west of the village is an ancient Roman fort, which seems not to have been occupied for long before the troops withdrew from Cornwall altogether. 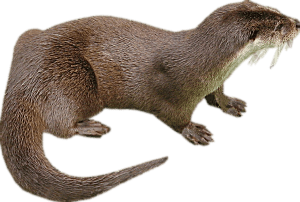 On still mornings and quiet evenings, you may be lucky enough to see an otter swimming up the Camel. Perfect habitat for a mammal that can’t choose between water and woods, it gets the best of both worlds along this river. Quite a favourite, especially with the fishermen who these days know more about conservation than the average hippie. Present day Padstow is something of a tourist mecca, but out of season it’s still a very pretty fishing village clustered above and around the natural harbour. Quick exits are sometimes required when the crowds get too much though; these can be effected via the start of the Camel Trail, or by striking out west on the South West Coastal Path. Rounding Stepper Point and beyond the lighthouse you can easily reach Harlyn Bay for a picnic lunch, well worth the effort as it’s the prettiest beach in this part of Cornwall. Quite a bit of Cornwall has been dug up at one time or another, and the catchment of the Camel is no exception. Ruthernbridge was the site of one of many Cornish tin mines, now closed and much-romanticised. Slate is still extracted from Delabole near Camelford, but sessile oak now grows round the abandoned quarry in the Hawke’s Wood reserve near Wadebridge. Tourism provides a much safer, less dirty way of making a living than mining, and though it’s often said you can’t eat scenery, the Camel trail and the visitors it attracts are one way that this is regularly disproved. Rowdy hooray public schoolers on half-term, pretending they are US college kids on spring break, have given Rock a bit of a reputation. Safe to say that in summer you can’t move for Breton stripes, boat shoes and Boden swimsuits, but out of season the sandy beach is a good bet for an easy walk. The estuary widens at this point, but is still very sheltered and so when the tides aren’t too low it’s also a fun place to learn dinghy sailing. Such is the conservation value of the river Camel and itstributaries, that an area between Egloshayle and Blisland has been designated a site of special scientific interest by Natural England. This is the largest of the five SSSIs in the area, which democratically recognise not only animal species like the otter and wading birds, but also the fantastic and ugly Bullhead fish. Under the guidance of conservation organisation, the riparian owners manage the land in everyone’s best interests, which keeps the fauna and flora happy too. Two riders on two wheels equals twice the power and potentially close to twice the speed. Using a bike hire inspires a tandem trial in lots of visitors to the Camel trail who always make me a little envious as they belt along. Viticulture in England is still something of a novelty, but the south-facing slopes of the Camel Valley have produced award-winning wines for more than twenty years. Whenever there is a posh do in the county, corks are popped on bottles of sparkling Cornwall in preference to any champagne; visiting the vineyard you can taste or tour if you wish, the terrace offers a chance to sit on to sit and admire the beautiful landscape in which the grapes seem so happy. Whatever the tide is doing, the Camel is passable at Wadebridge by road; the name of the town belies its probable origins as a ford, and river still makes itself felt in winter floods from time to time. Xylem carries precious water up from root to stem, but is harder and woodier in xerophytic plants on salt marshes like those of the Camel where adaptations to dryness and saltiness mean water requirements are lower. Zoning of the species that are able to grow up and down the mudflats is by their preference for more or less salinity and tidal soaking, they are among the most interesting but also most ignored plants along the river, but it’s well worth a stop and a look on the way into Wadebridge from Padstow. 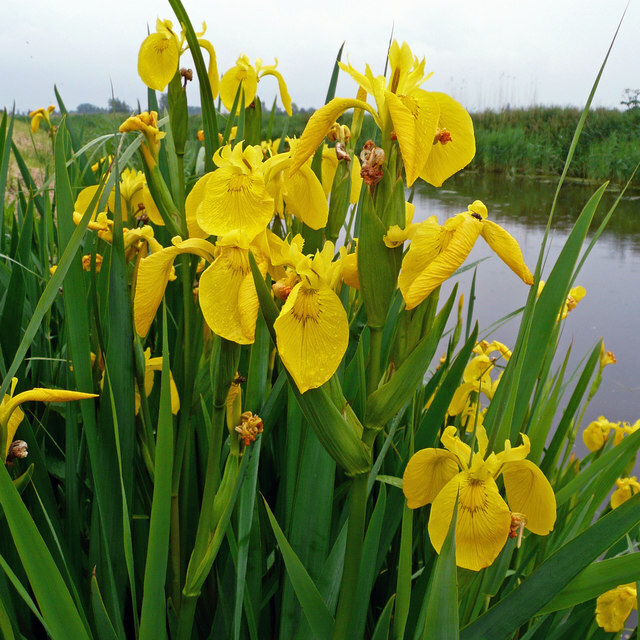 You’d have to have a very hard heart not to feel happy in high summer at the sight of our native iris in flower, it strings itself about like bunting across the boggy marginal land of the river Camel. Zip up your anorak and go out for a walk, the river, estuary and coast of the Camel are waiting, it’s worth the journey.